If you want today's free daily horoscopes for Libra, daily Libra horoscope predictions and Libra daily astrology forecasts for 2019, you've come to the best place! Our Libra daily horoscopes are free and we've got yesterday, today and tomorrow's Libra horoscope forecasts from the very best astrology sites on the internet. The best Libra horoscopes feel true. Our scopes are free, meaningful horoscope predictions covering daily love and romance, Libra luck, business, career and relationship astrology forecasts. Your daily Libra astrology prediction will usually be posted at night, but ours come from all over the world so you'll often find today's horoscope for Libra and tomorrow's Libra prediction changing from morning to evening. By reading your daily Libra horoscope, you'll keep up to date on the latest cosmic climate and daily Libra zodiac astrology. Our free daily Libra astrology predictions and free daily Libra horoscope forecasts are grouped by astrology website and astrologer below. We think you'll find these daily forecasts are the best Libra horoscopes for today and tomorrow. Come back often and check your horoscope every day of the week! Or, sign up for our free daily email horoscopes and we'll send our daily Libra horoscope to you! We also feature free daily Libra love horoscopes for relationships of all kinds. Our Chinese daily horoscopes feature predictions by day, week, month and year for all of 2019. In the links to our favorite daily Libra forecasts and horoscope predictions, most daily astrology readings for Libra are directly linked so one click and you can find out what's in store. Sometimes the Libra daily stars and forecasts are available from Libra daily horoscope links when you reach the daily astrology website. Inspiring daily horoscopes but they are not candy coated so if there's trouble on the horizon, Daniel will point it out but also encourage you to persevere so you can triumph over any obstacle. In his words, keep the faith moondoggies! British daily astrology from the UK for Libra. 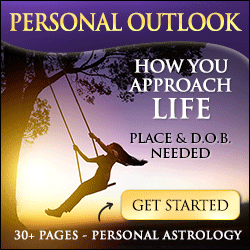 Brief daily outlook horoscopes for Libra today, tomorrow and yesterday. Susyn Blair Hunt is another of our top 10 best astrologers in the world and she proves it each and every day. You get an entire week of daily Libra horoscope predictions all in one shot, plus a weekly affirmation that captures the tone and tenor of the week ahead. Uplifting and spiritual astrology for Librans. Do not miss these daily forecasts. The Libra yearly horoscopes for 2019 cover the whole year ahead. Sometimes this means you can have this year's and next year's forecast for Libra all at once. It's great to check back throughout the year to revisit the themes presented in the broad outlook for Libra as the year progresses. We love weekly Libra horoscopes best and you can read them daily since different astrologers release their forecasts every day of the week. With the monthly Libra horoscope predictions, you can check in the last week of the month, when most of them are released but you'll need extra time for those as they can be quite in-depth. Of course, the Libra love horoscopes section brings you romance astrology and relationship predictions for single Libra and also Librans in couples. Libra is the 7th sign of the zodiac in western astrology and is the second of the air signs. Gemini and Aquarius are the other air signs, all of which have masculine, or yang energy. Libra is a fire sign, like Aries and Sagittarius. People usually feel good around Librans, in no small part because of their optimism and spirit of cooperation. Libra is good at figuring out what people need. They seek the high road, they frequently settle for whatever will keep the peace, though. Keeping to the middle helps avoid blame. They would rather protect a relationship, even if they must lose something in the process. On the shadow side, they can be extravagant, sometimes shallow, reckless and have a disdain for dirty work. Vedic horoscopes for Libra, or Tula Rashi (sign) apply for those born between October 17th and November 16th as opposed to the western Libra month which runs September 24th to October 23rd. Vedic horoscopes for Virgo, or Kanya rashi, apply for those born in the Indian astrological month running September 17th to October 16th, so Vedic Virgo is generally the appropriate daily reading for western Libra. Unless you were born near the end of your sign, you should probably be reading daily predictions for the Vedic sign before your western sign in your daily Vedic astrology. Daily Vedic horoscopes for Tula rashi (Libra) apply more often than not those born under Scorpio sun, between October 24th and November 22nd. It's best to calculate your Vedic sun, moon and rising sign when reading your daily Vedic horoscopes. We hope you enjoy your outlook in our free Libra daily predictions and Libra daily forecasts. We also feature your brief and detailed overview in our free daily horoscope prediction and forecast for yesterday, today, tomorrow, this week and month together on one page for each zodiac sign invidivually. Alternatively, you can browse today's horoscopes and free zodiac astrology by sign from all over the internet, or you can get links to horoscopes for any sign from one page using the link below. How cool is that?! Today's your lucky day, libra en Francais, Italian, German or Portugese, we've got the best free daily horoscopes online!